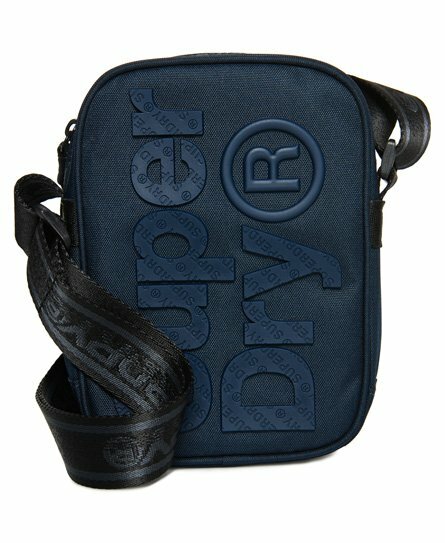 Superdry men's B Boy festival bag. Perfect for keeping your smaller essentials close by, this bag features a main compartment with zip fastening and mesh pocket on the outside. The bag is completed with an adjustable branded strap and high build logo on the front.